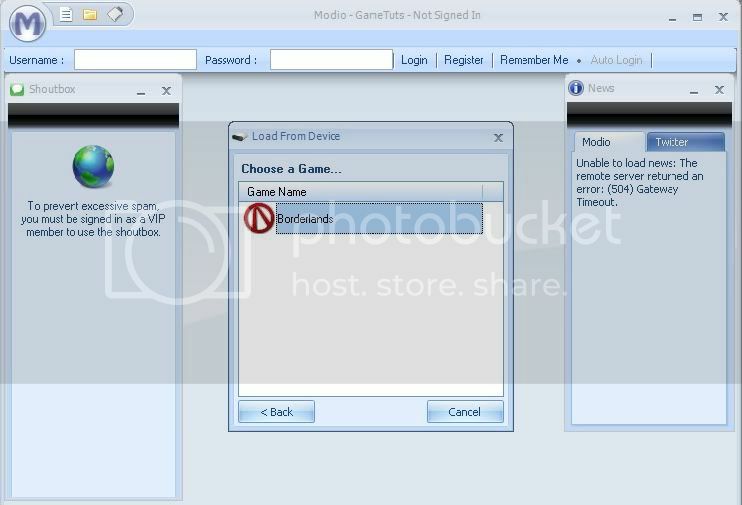 2) Launch Modio, then click the third icon after the "M" in the top left. It should say "open file from device." Pic. 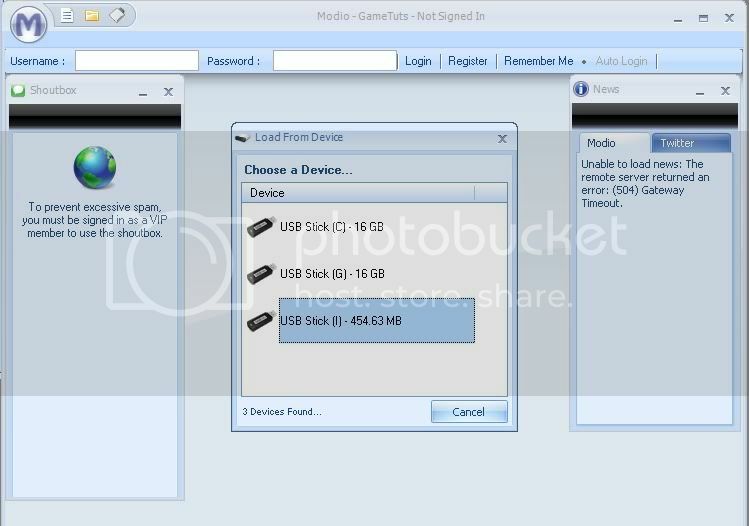 3) Choose the USB drive on which your save is located. Pic. 5) Double click the save you want to use. (if you only have one save on the USB then there should only be one choice). 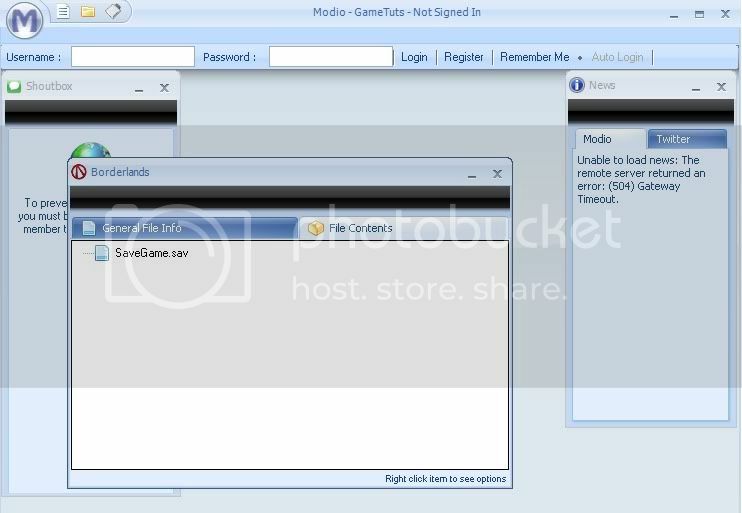 6) This will bring up a window with 2 tabs: "General File Info" and "File Contents." Click on "File Contents." Pic 1. Pic 2. 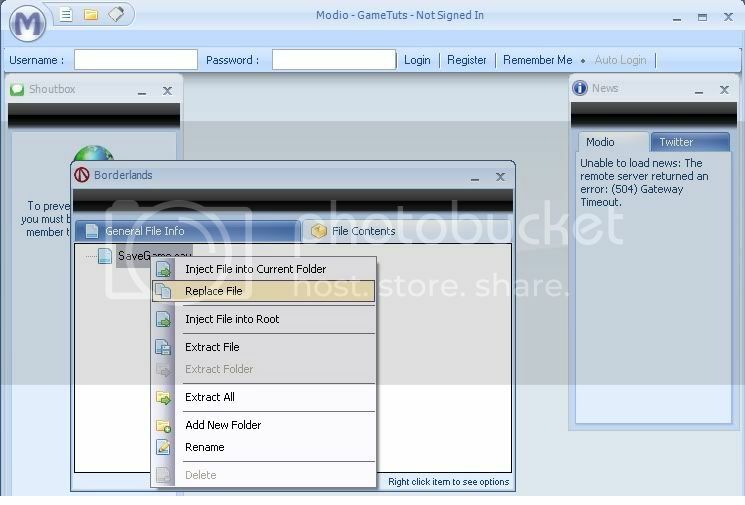 7) Right click on the save file in this tab. 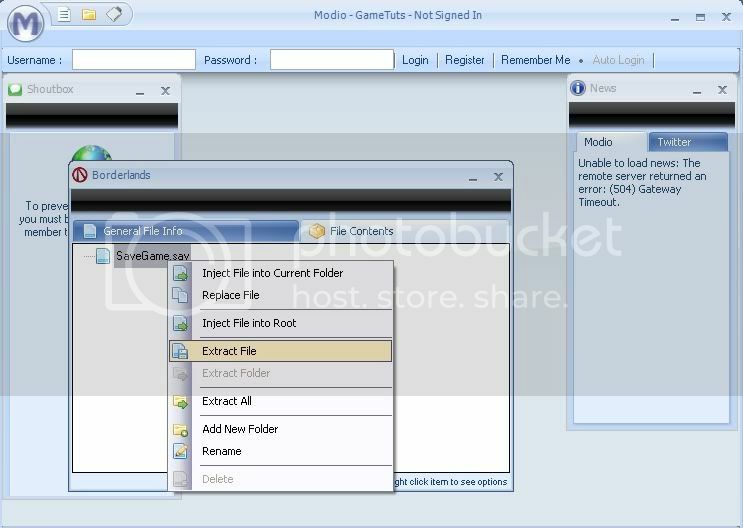 Choose "Extract File" and save the file wherever you wish. Pic. You can now use this file on your computer, e.g. in Willowtree or Willow Shrubbery. 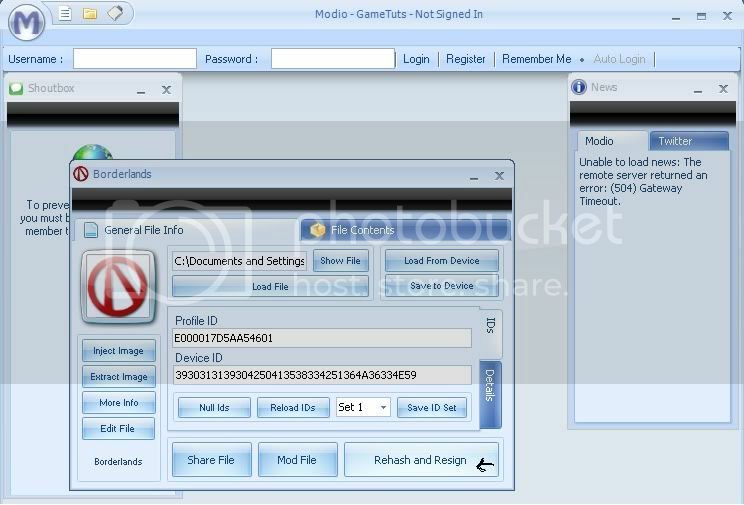 You might want to keep your USB plugged in and Modio open to reinject the file when you have finished modifying it. 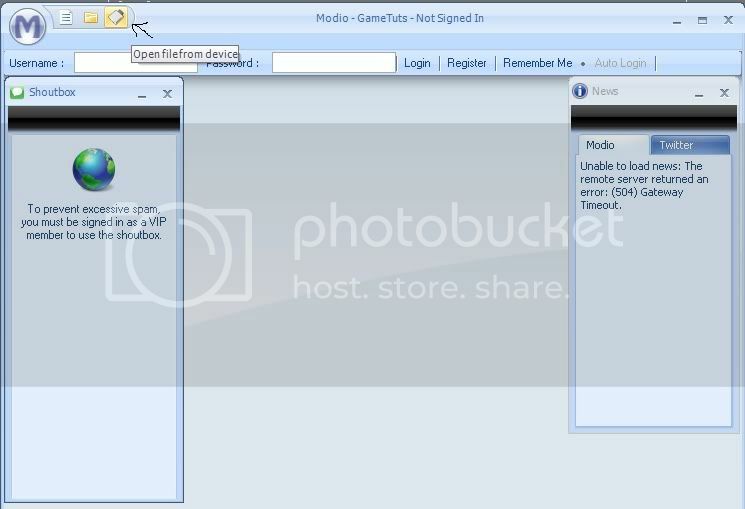 a) Right click the file in Modio, under "File Contents" and choose "Replace file." This is in the same location as step 7. Choose the newly modified file to replace the one on your USB. Pic. b) Go to the "General info" tab and click "Rehash and resign." Pic. c) Finally click "save to device" and choose the storage device and profile as done in steps 3 and 4 Pic. Safely eject and your profile is ready to use on Xbox! Make sure it works before copying it to your xbox hard drive. Always keep a backup of your original working save file before modding it.